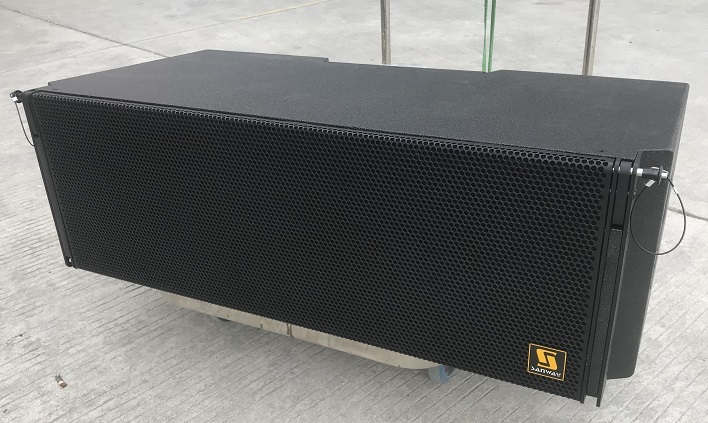 J8&J-SUB Dual 12 inch Column Speaker Box Line Array System - Buy Column Speaker Box Line Array System, column array speaker, Line Array System Product on Sanway Professional Audio Equipment Co., Ltd.
1. 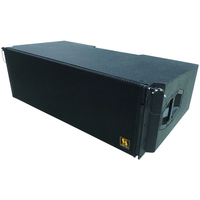 Dual 12 inch 3 way line array for sales. J8 passive line array speaker is a 3-way design cabinet, consists of 2 x12 "LF driver, one horn loaded 10" MF driver and two 1.4 "Exit HF compression drive with 3 " voice coil installed to a dedicated waveform shaping device. The mechanical and acoustic design enables vertical columns up to 24 loudspeakers to be hoisted. 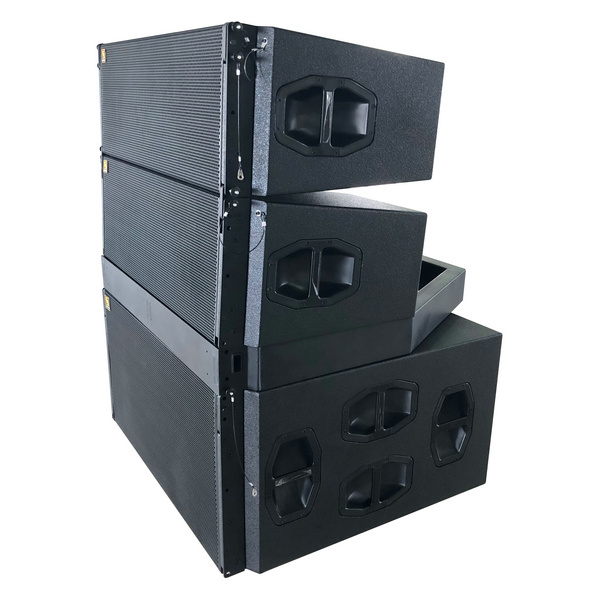 The J8 column speaker pa system box is made of birch plywood and coating with impact and weathering protected PCP (Polyurea cabinet Protection). 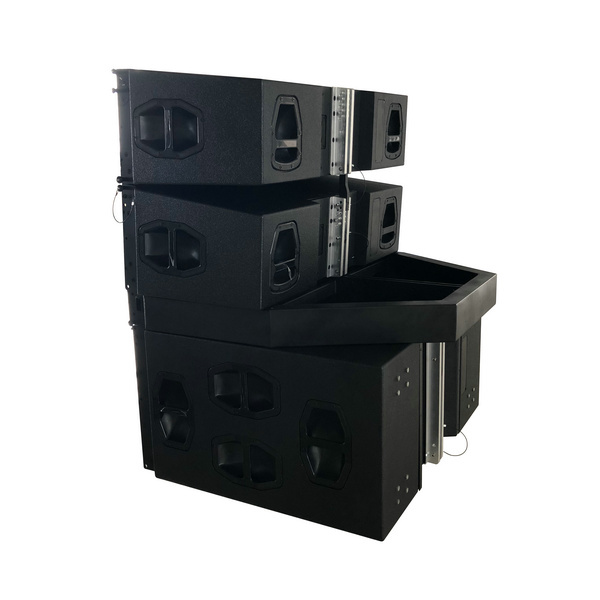 The front of the loudspeaker cabinet is protected by a rigid metal grille, and the side and rear panels contain four handles. 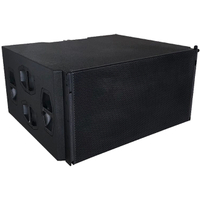 The J-SUB subwoofer is a low frequency reflective design with two-way low-bass speaker, loaded with 3 18 "Neodymium woofers, of which two are facing the front panel, one facing the rear panel. In this way, the cardioid diffusion characteristic can eliminate the unnecessary sound energy behind the system, which can effectively reduce the echo region of low frequency and the recover most effective low frequency signal. J-sub speakers can be used in different combinations with J8 column array speaker, such as stackable or hanging, can be centrally suspended on the J8 array or can be used as a separate set of sound columns. 1. 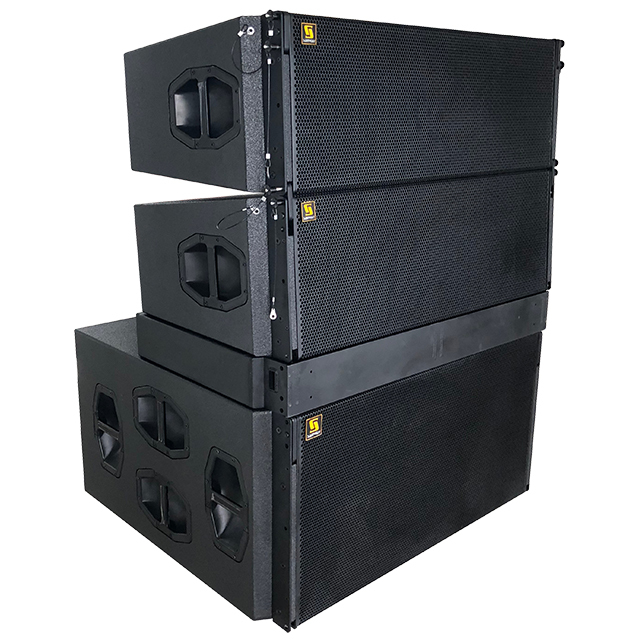 2x12" LF; 1X10" MF; 2X3"HF neodymium drivers. 2. High quality compact birch wood enclosure. 4. Multi-layered weather protected finish. 14.2 x 43.3 x 22.4"